Does your space feels empty and incomplete? We work with you on creating a home that will reflect your personality and style. To make your home feel comfortable, functional and inviting, we will assist you in making your desirable colour palette, decorating the interior and exterior of your home, assisting with window coverings, lighting, mirrors, accessories and more. From start to finish we work with you on your budget, and offer cost effective solutions. 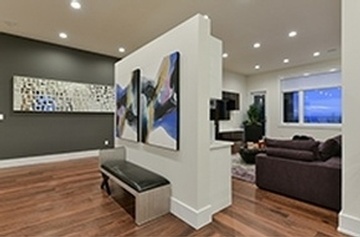 Interior designer Seema Sahni at interior design studio of Flaunt Interiors offers complete interior decorating and design services across Edmonton, Alberta and neighbouring areas.